Don’t pass out or anything, but in June I read three whole books. 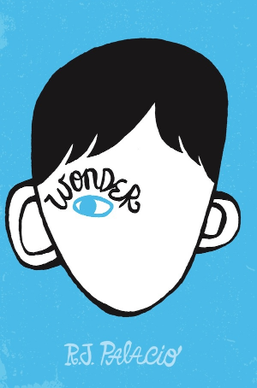 It was a doddle though, starting as I did with R.J. Palacio’s Wonder, one of the best things I’ve ever read, where the pages pretty much turn themselves. The book follows the first year at school of a 10-year-old boy with severe facial disfigurement. It is both uncomfortably thought-provoking and wonderfully feelgood at the same time. Read it! 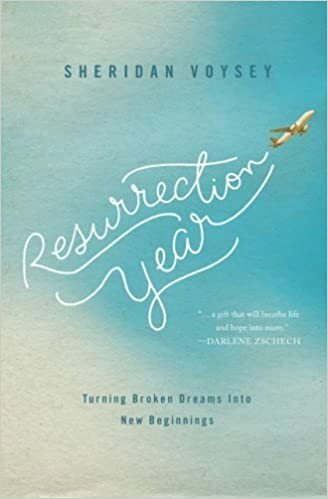 Resurrection Year by Sheridan Voysey was another page-turner. Covering infertility, loss, suffering and resurrection (d’oh – really?) in a hopeful, gentle way, I felt this book was a rare one which neither brushed suffering under the carpet, nor used it as an excuse for bitterness. That’s not to say the emotions are not real and raw – but the path that Sheridan and his wife Merryn travelled through the realisation of dreams never going to be fulfilled makes for compelling reading. Finally, Compared to Her (Sophie de Witt), one of the books recommended to me in 2015, my Year of Books. 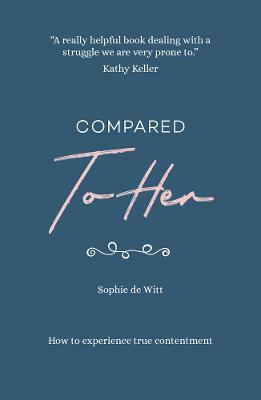 It’s a helpful book, which describes the problem of CCS (Compulsive Comparison Syndrome), something pretty much every woman suffers from, and guides us through carefully thought-out theology to lead more content lives. I would recommend it to other women, but…. ….and here I’m going out on a limb, since all the reviews of this book seem to be 5*. I didn’t find it riveting. And, whilst I was asking myself whether a non-fiction Christian living book can be riveting, I was reminded that many of the best Christian books are exciting, inspiring and can’t be put down – even though they’re non-fiction. This was the case with both A Praying Life and Jesus Feminist which I read earlier this year. So I did feel like I was wading through this one a little. That’s not to say it’s not good, just that it didn’t light my fire. Having said that, in the few days since I finished it, I’ve found myself mulling over its subject plenty of times – so perhaps it will have a lasting impact after all. Making beautiful pictures with glue, salt and watercolours! June is elderflower season so, as always, I clambered out of my bathroom window, made it across the garage roof in one piece, picked as many fresh white elderflower heads as I could find, and made it back to the bathroom window without breaking a leg. The rest of the process is dead easy – in fact, the recipe’s on the blog here if you fancy having a go next June! I haven’t always got on with Jamie’s recipes, but think I’ve found my happy place in his 30 Minute Meals which are considerably less faffy than his other recipes. And I remembered how much I loved pulled pork, so found a recipe and made it for dinner one night – it was a hit, and so super easy too. It’ll definitely become a staple on the Desert-house menu. As will gherkins. Yep, you read that right. Although I despise them, the pulled pork evening revealed that every one of my kids thinks gherkins are absolutely marvellous. Massive pot added to this week’s shopping list. Oh, and how do you improve upon a millionaire’s shortbread? Replace the boring shortbread base with a chewy, oaty flapjack to produce MILLIONAIRE FLAPJACKS! This isn’t a political blog, so I’ve kept the General Election out of this round-up – suffice to say it happened, and I played my part. But I was sad, angry perhaps, at the media’s hounding of Tim Farron throughout the election campaign, and thought this blog from The Spectator summed it up rather well. My friend Jo wrote an honest and moving post about celebrating Father’s Day with no Dad. And this article, from the New York Times, reveals how we use language differently depending whether we’re speaking to a boy or a girl. It’s challenging and helpful. The ‘screen’ part of this can be easily summarised by saying that I’ve continued with the new Twin Peaks series, and it’s getting curiouser and curiouser each episode. Very gripping. As for ‘stage’, two very different shows. I took Monkey and Meerkat to the theatre for the first time, to see the Very Hungry Caterpillar and other stories. Superbly done, with great colour and visuals, but not so over-the-top that it overwhelmed them. I then went with some friends to see Everything is Possible, a community theatre project written by a local scriptwriter, based on the true story of a York-based Suffragette. There are no words to describe the power and emotion of this play. It began outside York Minster, staged as if we were all taking part in a Women’s March. I was fighting back tears within the first few minutes, as the Suffragettes of 1912 gradually took over from the 21st century feminists, and were led away, kicking and shouting, by the police. The play continued in the theatre and was totally absorbing, with lots to think about. I was struck by how much change there’s been in 100 years – and yet how little in other ways. Back then, there was huge differentiation between rich and poor. A century on, in the wake of the Grenfell Tower fire, we’re forced to ask whether our society is really much different. 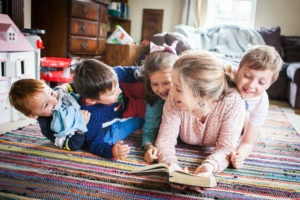 I FINALLY managed to publish the blog I’d been drafting and re-drafting for months – What we want for our kids: Gender equality. And I published a blog I’d written on the first birthday of our twins – before we’d met them. I fixed a lawnmower. By myself. I tried to stay cool about it, but now feel the need to announce it to the world. So there: I fixed a lawnmower all by myself. I organised our first-for-a-long-time school summer fair! It ate all my time! But it was awesome. So great to see such a lot of families and teachers coming together to celebrate each other’s culture and have fun. Even the rain couldn’t stop us – but next year surely we’ve earned the right to hold it outside. My talented friend Lucy took some snazzy photos for the blog – maybe you’ve noticed the website/Facebook/Twitter looking a bit more glam this month! I’m not great at prancing around in fields, but she did a great job of putting me at my ease, and now fortunately I can rest on my design-laurels for a few years. My school governor responsibilities took me into school three times, to observe my link subjects of Music, PE and Spanish. Such a joy to see such dedicated, enthusiastic professionals sharing their talent with bright-eyed, engaged kids. Another reason why I love this school so much! AND we had our lovely London friends come and visit, en route to their amazing backpacking venture around the States. They have a 7-5-2. RESPECT. What about you? How was your June? Linking up, as always, with Leigh Kramer’s ‘What I’m Into’ series. Check hers out here! I’m so glad you liked ‘Resurrection Year’! After reading it I just felt the urge to share it with somebody, and now it makes sense why that somebody was you. There is a redeemer! As always, you’re ‘What I’m Into’ post is a brilliant source of articles. I particularly appreciate the Spectator one regarding the very saddening – and yes, angering – treatment of Tim Farron. Freedom of conscience is a very precious thing that we must fight for.